Lucknow, Jan 15 (UNI) Nepal Army Chief General Purna Chandra Thapa arrived here on Tuesday on a day-long visit to Uttar Pradesh, said a press statement issued by the Central command here on Tuesday. 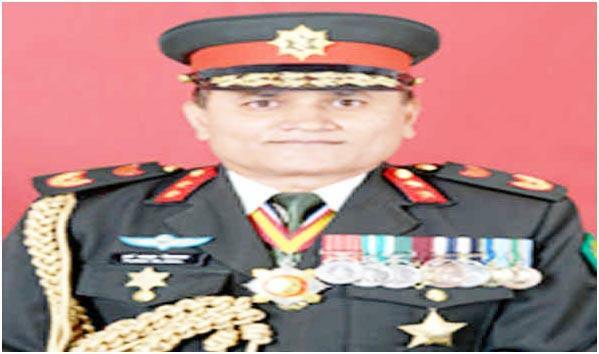 On his arrival, the Nepali Army chief visited Headquarters Central Command where he interacted with Lieutenant General Abhay Krishna, General Officer Commanding-in-Chief, Central Command and was also briefed on various important professional aspects, the statement added. The Nepal Army Chief then proceeded to 11 Gorkha Rifles Regimental Centre on a windshield tour of the training area wherein he was briefed about the training infrastructure and the methodology of converting young gorkhas into trained soldiers. The General also interacted with all ranks during a ‘Special Tea’ organised in his honour. He also visited the Army Medical Corps Centre & College where he was received by Commandant, Army Medical College & Centre and was briefed on the methodology of training of the Medical Officers at Officers Training College and recruits at the Centre. The General accompanied by his wife Smt Deepa Thapa and other members of the delegation also visited places of historical significance. General Purna Chandra Thapa is on his first international tour since taking charge of the Nepal Army. During the tour, General Thapa was handed over the insignia of the Honorary General of the Indian Army by President Ram Nath Kovind and had high level engagements with the Defence Minister, National Security Advisor and the Chief of Army Staff.